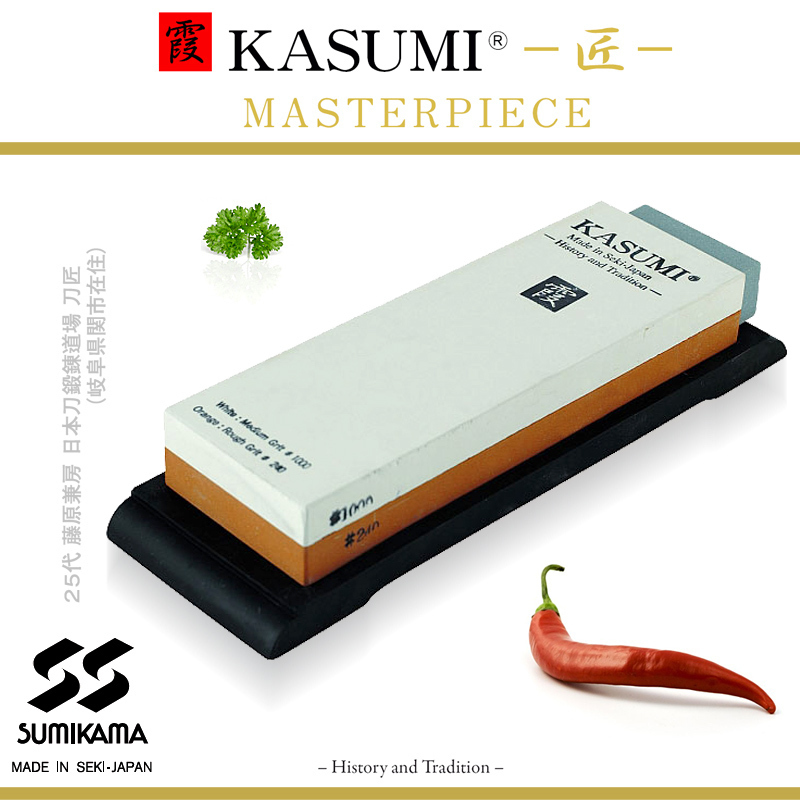 Ceramic Whetstone K11 is the most effective sharpening tool for all Japanese professional knives of the Kasumi Masterpiece series by Sumikama, Grit: 240 & 1000. 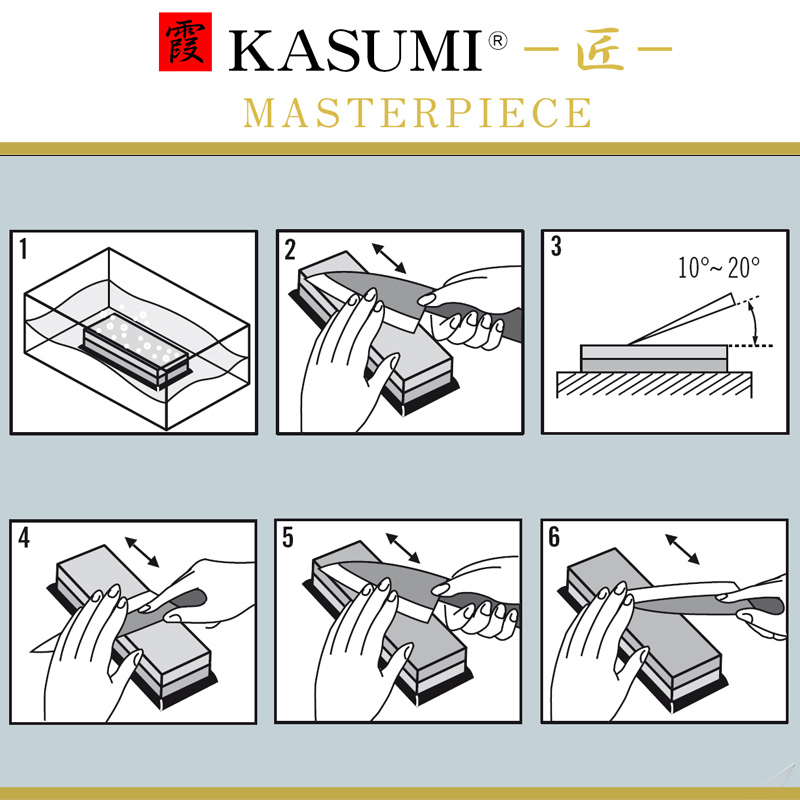 Κ11 Ceramic Whetstone is a double-sided sharpening tool ideal for those who demand professional results. 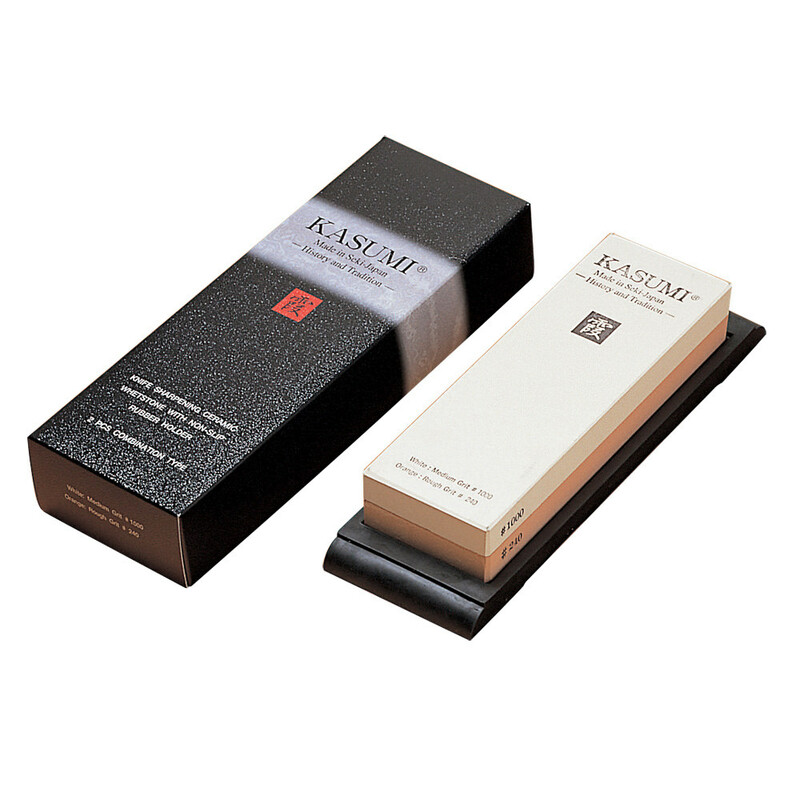 This whetstone is made of hardened ceramic powder for quick, easy work and requires submersion in water for 10 to 15 minutes before use. Grit 240 - Coarse grain used to pre-grind dull knives or for smaller repairs. 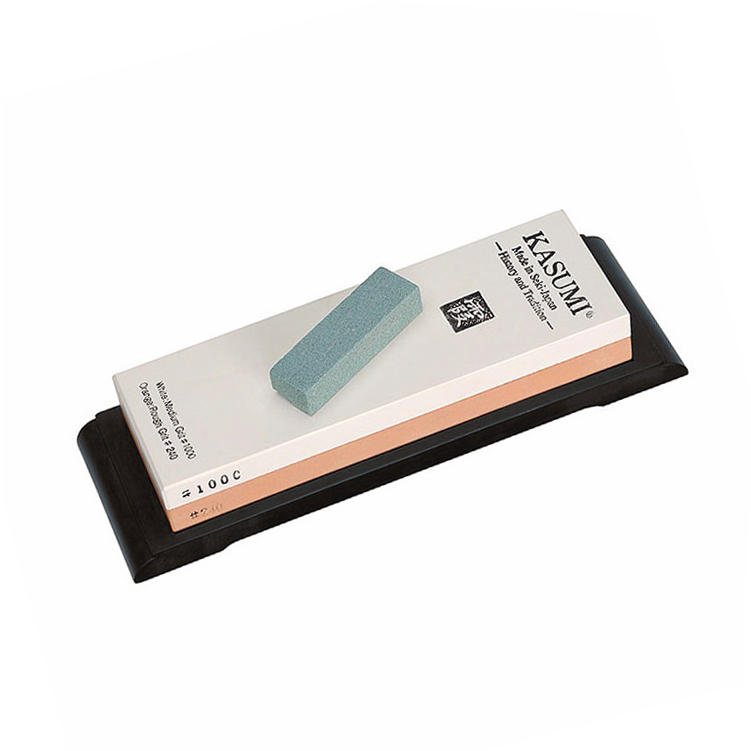 Grit 1000 - Standard grain used for regular sharpening and maintenance of edge. This stone set will not develop any dips or valleys, as they softer stones do and it is accompanied by non-slip rubber feet to prevent slippage and damage to worktop when honing. Care and proper use of a high-quality knife is always essential to maintain the best cutting edge and to insure the highest possible degree of safety when using. After all, a dull knife is a dangerous knife. The more pressure required to cut with a knife the greater chance of an accident occurring while it is being used. Ideally, the knife should be sharpened daily (for professional cooks) or about every six months (for hobby cooks), and by the same person each time or with the help of a ‘sharping guide‘. Each person has an individual angle at which he or she sharpens the knife. The set also includes a Toishi (Straightening Stone). The intensive grinding of the chef's knife causes uneven surfaces on the grindstone. With the Toishi stone you can straighten the grindstone again. 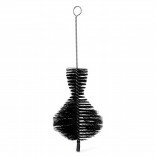 200 - 240 - Coarse grain - For pre-grinding of dull knives or smaller repairs. 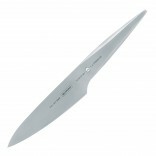 800 - 2000 - Standard grain- For regular sharpening / maintenance of edge. 3000 - 4000 - Fine grain - For perfect sharpness, for use after the 1000. 6000 - 12000 - Super Fine grain - For polishing until the knife becomes razor sharp, for use after the 3000.